Hi Jack, cheers for taking the time to answer our questions for The Football Front. So Jack, what did you make of Liverpool’s season? Obviously last season was fairly disappointing, but the Carling Cup was nice to win and to come so close in the FA Cup was disappointing, but also slightly encouraging. Ultimately it was disappointing for Dalglish and I’m looking forward to seeing Brendan Rodgers in charge. Why do you think Liverpool struggled in the second half of last season? Liverpool’s form at Anfield last season was shocking. To think Blackburn had more wins at home than Liverpool last season when they were relegated is embarrassing. But it wasn’t poor performances. In my opinion it was complacency. Luis Suárez already said that at half-time and 1-0/0-0 in some games, the team thought the job was done and often ended up drawing. So I blame complacency, and there’s no excuse for that. Through Twitter, everyone is pretty aware that you love Lucas Levia! Do you feel his injury demonstrated just how important he is to the Liverpool side? Really? Is it that obvious that I like Lucas? In all seriousness though, definitely. Liverpool had the best defence in the Premier League along with City until Lucas got injured. There were also ridiculous gaps between the midfield and defence exploited when Jay Spearing played. It’s good to see Lucas back though and I can’t wait for this season. And would agree, Liverpool and other fans now see Lucas as one of the best defensive midfielders in the world? Most certainly. There are some very, very good, underrated defensive midfielders in the Premier League. Most notably Alex Song and Lucas, but Lucas has definitely established himself as one of the leading defensive midfielders in the game. Besides Lucas, which player impressed you last season at Liverpool? Martin Skrtel. I always knew he was a good player, but he was extremely consistent and formed a solid partnership with Daniel Agger. Very deserving of the Fans’ Player of the Year award. The Reds spent massively last summer and in January 2011, do you feel the weight of expectations on these expensive signings took their toll on the players? Almost definitely. I think the pressure weighed Jordan Henderson down in particular. He lacked a lot of confidence last season. Despite costing £35m, I feel it was less-so with Andy Carroll. Everything he did though was reflected upon his price tag and I think that took away a lot of the positive contributions he made, sadly. Stewart Downing was one of the most criticised players last season, do you feel he will ever succeed and win over the fans at Liverpool? I think he can succeed. He had a very positive pre-season and has been known as a ‘second-season’ player throughout his career. He can most certainly be effective and quite often last season the lack of assists were not his fault. Carroll and Suárez were very poor when it came to finishing chances. It seems, poor results, poor transfers and poor media handling cost Kenny Dalglish his job at Liverpool. Did you see the dismissal coming? Did you think it was right? I said in March that he was going to be sacked, funnily enough! 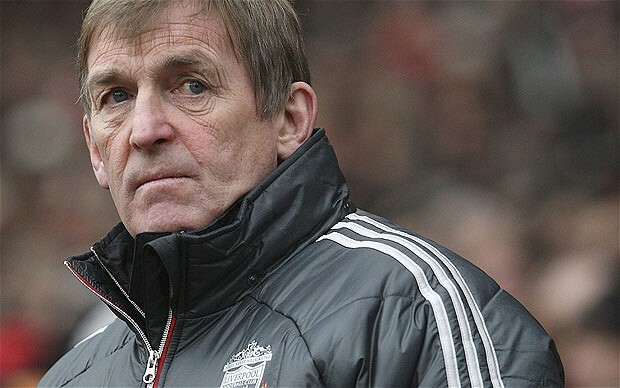 I did want Dalglish to keep his job, but he had a poor season. In hindsight now we have Brendan Rodgers, I think it was right for Dalglish to go before his reputation was damaged. 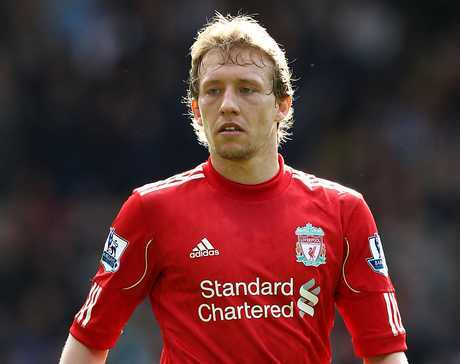 He’ll forever be a Liverpool legend, but it just wasn’t meant to be this time around. The Luis Suarez saga was a huge event in the Liverpool season, do you think the conflict has damaged Liverpool Football Club? I don’t think it’s damaged the football club itself, but it has picked up a name for itself. Some people like to label Liverpool a ‘racist club’ now, but that will soon disappear. People will forget and move on. I just hope it’s sooner rather than later. Brendan Rodgers has just come in at Liverpool, what were your initial thoughts before he was appointed? Did you want him? Or did you rate him? I won’t lie, I wanted Rafa Benitez or André Villas-Boas and I was originally a bit underwhelmed when I saw Brendan Rodgers was set to be appointed. I thought he did a magnificent job at Swansea, but I was a little sceptical. But as I began to read about him and listen to what he had to say, I was looking forward to seeing what he could do. Now Rodgers has been in charge for a month or so, has he impressed you? I don’t think he’s done anything but impress anyone. Even the most sceptical of Liverpool fans I’ve spoken to have been impressed with Rodgers. But he has to take his talking to the pitch, that’s ultimately where he’ll be judged. I hope he does do well as he seems a perfect fit for the club. Has the signing of Borini pleased you? Yes. He’s young, he looks confident, knows Brendan Rodgers’s style and ultimately he can score. Liverpool really struggled in front of goal last season, so hopefully he can help sort that out. In terms of expectations, what do you expect from Liverpool next season? Where do you think they will finish in the table? I’m expecting an improvement from last season, most definitely. I’d hope that Liverpool can challenge for the Champions League places, and also try and pip Newcastle and Spurs. People need to keep their expectations realistic. The last three seasons we have finished 7th, 6th and 8th. So it would be silly to demand a fourth placed finish when there are at least four teams who have better squads than us and have spent more too. City, Chelsea, United and Arsenal will be very, very difficult to catch next season, but if we have a good start to the league, who knows? People were tipping Newcastle for relegation last season and they finished 6th. I have a lot of faith in Brendan Rodgers, but I’ll take it as it comes. As you know, Liverpool have the Europa League to contend with next season, do you feel the Europa is an unwanted distraction for The Reds? Across Europe, the Europa League is a very reputable competition, it’s only really in England that it’s labelled as a distraction. I think Liverpool will take it very seriously. We have, or should have, plenty of options available for rotation and resting players, so I’m hoping we can do well in it. If you were the Liverpool manager, what positions and (realistic players) do you think LFC need to fill? Well if Liverpool sign Cristian Tello, Nuri Sahin and Clint Dempsey, as well as replacing Andy Carroll should he leave, I feel we would have had a very successful summer. Finally, how long do you think Brendan Rodgers needs to prove and fully implement his style at Liverpool? I think we’ll start seeing his piece come together around November, but I doubt it’ll be until next season that he’s been able to implement his style. Right, to finish off, here are some random yet trivial questions for you Jack. If you could work shadow one player for a week, who would you shadow? (and why). Lucas. I’d like to see him train and how he is in real life. He seems a very nice, positive character and it’s proven that he has a brilliant mentality. Either Lucas or Mario Balotelli. If you were a referee, which player would you take the most satisfaction in sending off? Name your ultimate 5 a-side dream team, can be players from present or past. I’ll choose players in the present - Casillas; Yaya Touré, Fabregas, Messi, Silva. You’re at a dinner party, you can invite two footballers, one manager and one wag, who would you pick? Lucas, Luis Suárez, Brendan Rodgers and whatever Sergio Ramos’s girlfriend is called. She’s unreal! This question and answer session took place on the 27th of July, 2012.